IT’S NOT HARD TO ISOLATE THE BIG BUSINESS OR political events that have steered the course of the rotorcraft industry in the 40 years since Rotor & Wing first appeared. Just about anyone you ask will point first to the war in Vietnam — some to that waged by France, most to the U.S. operations — as the event that proved the value of the helicopter as air mobility, gunship, and medevac platform. Next likely will come mention of oil and its role as a driver or killer of civil rotorcraft operations. A good bet is the third candidate would be the shift of medevac operations to the civilian arena based on the lessons of Vietnam. After that, folks may raise a number of points. Consider, for instance, the impact of recurring rescues after natural and manmade disasters, the outbreak of peace in the mid-1980s, and the cancellation of the U.S. Army’s $14-billion, drawn-out RAH-66 Comanche armed reconnaissance helicopter program in 2004. One thing is certain: all of those events dramatically altered the course of vertical lift since 1967. U.S. combat in Vietnam wasn’t the first helicopter war. That title goes to French operations against Algeria’s fight for independence in the 1950s. There, France’s troops honed the air mobility and helicopter gunship skills that they would carry to Indochina, where they were replaced by American troops and helicopters. The French came to rely on the helicopter in Algeria, and its forces made wide and aggressive use of them as transports and attack platforms. Some observers said the U.S. military had been reluctant to use what were considered to be vulnerable and expensive aircraft, like the H-34 and H-21, at the start of the war. But they soon recognized the value of rotorcraft, and that spurred the development of more advanced aircraft like the Bell UH-1, Sikorsky Aircraft CH-3, and Boeing CH-47, as well as — by the later years of the war — the Bell AH-1 and Sikorsky CH-53 and -54. The Vietnam War clearly shaped the vertical lift industry to an unprecedented degree, since it produced most of the pilots who have flown helicopters in the United States, and probably around the world, for most of the last four decades. It also gave us a good number of rotorcraft flown in that time — from the Bell Helicopter UH/AH-1, Boeing CH-47, and Sikorsky H-3 to the UH-60 Black Hawk, AH-64 Apache, and OH-58. U.S. war spending even underwrote development of civil helicopter lines at Bell, Hughes/McDonnell Douglas/MD Helicopters, and Schweizer Aircraft. As R&W was printing its first pages, Bell was starting work in 1967 on a contract from the U.S. Army, valued at $250 million, for 2,115 UH-1Bs and -1Ds. Deliveries were to be completed by the end of that year. 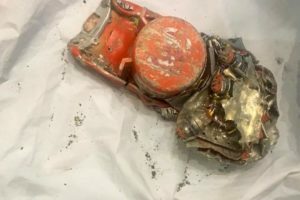 That singular event, the Vietnam War continues to shape the industry, since operators now are confronting how they will counter the loss of skilled pilots as the last of the Vietnam veterans retire from flying. Oil placed its mark on rotorcraft, just as it did on the rest of the world, in 1973, when the Organization of Petroleum Exporting Countries launched an embargo of oil shipments, plunging the U.S. and world economies into recession. The optimism that pervaded the helicopter industry at the end of the 1960s turned gloomy as the embargo put the brakes on an already-slowing U.S. economy. By late 1979, drilling activity in the Gulf of Mexico was on the rise. Major oil and gas companies were exploring, and not just for oil. There was a natural gas shortage in the United States, and they were looking for it in GOM fields. They found it. By the mid-1980s, oil and gas companies began to move further and further offshore for exploration, out to 300 mi and beyond. 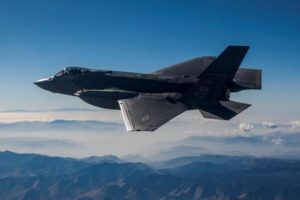 That created demand for a new generation of aircraft capable of carrying equipment and personnel to support those more distant operations. This led directly to development of the Sikorsky S-92, AgustaWestland AW139, and Eurocopter EC225, and spurred the Bell/Agusta BA609 civil tilt-rotor project. The industry has tracked the ups and downs of oil and gas production, finding itself now in the midst of an unheard-of boom as oil trades above $70 a barrel. Three years ago, that price was about $40. Vietnam brought about a revolution in emergency medicine. During World War II, by some accounts, it took 8 hr on average to get a wounded soldier full medical treatment. In the Korea War, when helicopters were first used in earnest for medical transport, that was shaved to about 3 hr. By Vietnam, that was down to 2 hr. Those lessons made their way back across the Pacific to domestic U.S. hospitals. In 1971, six medical facilities and the city of Denver joined to launch Project Midtown Helicopter Ambulance Rescue Transportation (HART). By the late 1970s, some observers believed the U.S. emergency medical services (EMS) market was saturated, with programs wherever there was a big enough population to support it. But the market continued to grow. The years 1979 and 1980 were "definitely the years of the helicopter EMS operations," a Bell marketing official told us in 1980. "Up until 1979, there were less than 10 programs going on nationwide" in the United States. "Now there are 43. I think the EMS market is bigger than we’ve imagined." By 1985, the number of EMS operations in the United States had topped 100 and the growth showed no signs of slowing. Market analysts predicted it would double. The EMS market has continued to grow strongly in the United States. Development of that market encountered some problems. Safety is an ongoing concern, with the public, the FAA, and Congress focused on that sector’s efforts to reverse high accident rates. In the early 1970s, controversy brewed after the U.S. government, concerned about the availability and safety of private-sector EMS services in the sparsely populated Western states, launched the Military Assistance to Safety and Traffic program (MAST). It included the Defense, Transportation, and Health, Education, and Welfare departments and encouraged military units to provide emergency helicopter support to local communities. The thinking was that military helicopters often were sitting idle and could be made available to the citizenry without interfering with military missions. A fundamental premise of MAST has always been that military necessity always and immediately takes precedence over community aid. In 1972, the program that many in industry considered a pilot effort was expanded to include 20 more states, prompting complaints from operators that the government was encroaching on private commerce. Helicopters landed in the public spotlight on Feb. 24, 1972, when the 28-story Andraus office building in Sao Paulo, Brazil burned. Hundreds of people were trapped above the fire and fled to the roof. Eleven helicopters owned by seven civil operators joined four government ones to make more than 150 landings on the building’s roof at night and in smoky conditions. They pulled 380 people from the roof — nearly one in four of all those in the building — without a single mishap. The rescues were possible because the Andraus building had a rooftop helipad. A year later, another skyscraper in Sao Paulo caught fire. It had no rooftop pad, and 200 people died. As a result of the Andraus fire, cities like Chicago and Los Angeles passed ordinances requiring buildings taller than 75 ft to have rooftop areas clear enough to permit helicopter landings. On July 23, 1973, the 36-story Avianca Building in Bogota, Colombia caught fire. The blaze was spotted by a traffic helicopter. Everyone above the 14th floor, where the fire broke out, was trapped. Helicopters, including Colombia’s presidential Bell 212, again came to rescue, plucking 400 people from the rooftop. Helicopters also rescued scores from the MGM Grand hotel in Las Vegas, Nov. 21, 1980, and from the devastation of Mount St. Helens’ volcanic eruption that year in Washington state. The rescue and relief efforts that followed 2005’s Hurricane Katrina on the U.S. Gulf Coast and the Indian Ocean tsunami in December 2004 were showcases of the value of helicopters to public safety. But a quote from R&W’s first issue reminds us that appreciation is fleeting. 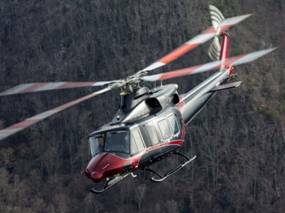 "In its 21 years of commercial service, in times of disaster — during floods and storms, for example — the helicopter has been welcomed anywhere and everywhere," Jean Ross Howard of the Aerospace Industries Assn. of America said in 1967. "But when the water recedes and the snow melts, it becomes a nuisance and even today is not permitted to land inside the city limits of many of our metropolitan areas." The demise of the Soviet Union in the mid-1980s freed Western Europe and the United States to focus on unfettered economic development, and they naturally came into competition with each other. In the rotorcraft arena, European nations undertook a number of cooperative development programs. These included the NH90, the PAH-2 attack helicopter (which would become the Eurocopter Tiger), the EH101, and the Tonal. All but the Tonal panned out. That effort of the United Kingdom, the Netherlands, Italy, and Spain was aimed at developing a light attack helicopter based on improving Agusta’s A129 Mangusta. It collapsed when the United Kingdom and the Netherlands opted for versions of the Boeing/U.S. Army AH-64 Apache.The others produced aircraft that, to greater or lesser degrees, have become competitors to U.S. programs. Australia’s military, for instance, selected the NH90 and Tiger over Sikorsky’s S-92 and the Apache. The EH101, now the AW101, beat out the S-92 in the competition to supply the next-generation U.S. presidential helicopter program and is vying with it and Boeing’s CH-47 to be the U.S. Air Force’s next-gen combat search-and-rescue helicopter. Those and other programs helped make Eurocopter the dominant helicopter maker in the world. 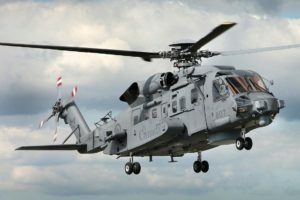 The U.S. Army’s February 2004 cancellation of this 20-year-old program reinvigorated a U.S. rotorcraft industrial base bogged down by relics of Cold War weapons acquisitions that had sapped design strengths and production capacity. Army leaders vowed (with White House backing, they said) to plow Comanche’s $14 billion back into a slew of programs to modernize Army aviation assets, and they appear to have held true to that. Rising from Comanche’s ashes are the now-close-to-$10 billion program to acquire 512 ARH-70A armed reconnaissance helicopters from a Bell-led team and a $2 billion program to buy 352 UH-72A light utility helicopters from an EADS North America-led team that includes Eurocopter (providing its EC145) and Sikorsky. But those funds also have underwritten upgrades to Boeing’s CH-47 Chinook and AH-64 Apache as well as the Army’s fixed-wing fleet. They also have funded new Army unmanned aerial systems. 1967: Era Helicopters of Alaska is bought by Rowan Companies of Houston, leading to expansion into the Gulf of Mexico, the Mideast, and Africa... Era operates the first Bell turbine-powered 206A JetRanger in Alaska... Petroleum Helicopters, Inc. (PHI) buys a Soviet-designed Mil 10 to support road-building in South America. 1968: New York Airways, the world’s first scheduled helicopter airline, carries its 3 millionth passenger... An HAA survey reveals the civil helicopter market includes 2,687 commercially certificated helicopters operated by 887 firms and that the market has doubled every four years for the last 12 years. 1969: Columbia Helicopters purchases three Boeing Vertol 107-2s from Pan Am and puts them to work in construction projects and oil exploration support on Alaska’s North Slope... Rotor & Wing’s first helicopter pilot report is on the Hughes 500. 1970: Maryland State Police perform the first civilian transport of a critically injured trauma patient by helicopter... Petroleum Helicopters, Inc. surpasses one million flight hours... The U.S. government eliminates subsidies for helicopter airlines...... "I don’t seen any future for the helicopter." — Secor Browne, chairman of the U.S. Civil Aeronautics Board. 1971: Erickson Air-Crane Co. is founded and becomes the first operator to harvest timber with the Sikorsky S-64 Air-Crane. In 1972, Columbia Helicopters begins heli-logging with the Boeing Vertol 107-II, followed shortly by Carson Helicopters. The effect of this low-impact method of timber harvesting had great environmental benefits... Six medical facilities and the city and county of Denver, Colo. join to launch Project Midtown Helicopter Ambulance Rescue Transportation (HART). 1972: PHI places an order for 30 Bell Jet Ranger 2s and three Bell 205As; at the time, was the largest single commercial helicopter order... Air Logistics is founded as a subsidiary of Offshore Logistics, Inc., to serve the offshore oil and gas industry... 11 helicopters rescue 380 people from a 28-story building on fire in Sao Paulo, Brazil. 1975: Island Helicopters in Garden City, N.Y. starts the first school for helicopter instrument ratings... An Aerospace Industries Assn. of America study finds that, in 1974, there were 487 hospital heliports compared to 34 in 1965. 1977: New York Airways begins passenger service from the rooftop heliport on Manhattan’s Pan Am Building to the area airports using Sikorsky S-61s... An Airborne Law Enforcement Assn. survey finds the greatest concentration of police helicopters is in the Los Angeles area. 1978: Helicopters play a major role in construction of Canada’s James Bay Project for energy. In 1977, they flew 25,000 hr on the project... Air Logistics, under contract to NASA, evaluates airborne weather radar’s capability as the primary guidance system for IFR approaches to offshore oil rigs. 1979: The FAA approves the first discrete helicopter IFR route into New York City. 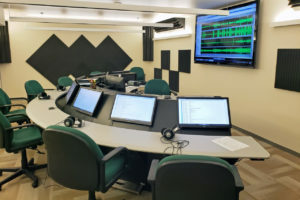 It is the first step towards a comprehensive Northeast Corridor helicopter IFR network... British Airways Helicopters accepts the world’s first commercial helicopter training simulator, built by Redifon Simulation. The sim is for S-61N training. 1980: Siller Brothers, a commercial logging operator in Calif., takes delivery of the last production Sikorsky S-61... A $55 million deal between Bristow Helicopters Ltd. and Boeing Vertol for five Model 234 Commercial Chinooks is terminated... Redifon Simulation Ltd. will build the first Commercial Chinook simulator for British Airways Helicopters Ltd. under a contract worth almost $7 million... Mount St. Helens’ eruption creates much work for helicopter operators. 1981: Helicopters rescue guests trapped by a fire at Las Vegas’ MGM Grand hotel. 1985: Papillon Grand Canyon Helicopters expands operation to Hawaii under the name Papillon Hawaiian Helicopters Ltd.
1987: Canadian Helicopter Corp. (CHC) is created by the acquisition of Okanagan Helicopters and Toronto Helicopters and merger with Sealand Helicopters. 1989: Air Logistics acquires offshore operations of Omniflight Helicopters. 1991: Erickson Air-Crane develops the fire-fighting Helitanker, combining the capacity of a fixed-wing tanker with the precision of a helicopter. 1994: CHC acquires British International Helicopters. 1996: Offshore Logistics makes significant investment in Bristow Helicopter Group, creating an extensive worldwide operation. Renamed the Bristow Group, the company which includes Air Logistics and Bristow Helicopters, today is one of the world’s largest providers of helicopter services. 1999: CHC acquires Helicopter Services Group of Norway, which includes Bond Helicopters (UK), Helikopter Service AS, Lloyd Helicopters of Australia and Court Helicopters of South Africa. 2005: Omniflight Helicopters is acquired by private equity investment firm Wind Point Partners. Omniflight Helicopters, founded in 1962, is one of the oldest and largest providers of air medical services in the United States. 2005: Keystone Helicopters, initially founded as a commercial operator by Peter Wright, Sr. in 1953, is acquired by Sikorsky Aircraft. Over the years, Keystone has evolved into a leading helicopter overhaul, maintenance and completions facility. 2007: Columbia Helicopters, founded by Wes Lematta in 1957, celebrates 50 years of continuous operations.